Bourbon Barrel Foods’ small-batch soy sauce is microbrewed, giving it serious flavor. Fermented and aged in re-purposed bourbon barrels, this soy sauce emerges with a hint of smoke and mild sweetness of a fine Kentucky bourbon. One of the only micro-brewers of soy sauce in the United States. The Bourbon Barrel Foods uses the same Kentucky-grown, non-GMO soy beans prized by Japanese soy brewers and miso-makers, the same limestone water coveted by the bourbon industry, and locally grown red winter wheat. In keeping with the company’s theme, the concoction is fermented in Woodford Reserve bourbon barrels. Compared to that standard Soy Sauce, Bluegrass Soy Sauce is potent and concentrated, while adding a current of the tangy and the sweet, plus a trace of barrel char smoke. Bourbon Barrel Foods barrel-ages all kinds of things like bourbon-smoked sugar and Madagascar vanilla extract. finish thanks to the spirit-soaked wood. It’s perfect for upping desserts like ice cream and bread pudding. They also offer sea salt, peppers, chili powder, simple syrups - all Sooooo good! Allan Benton is an uncompromising artisan, armed with only his family recipe and a humble smokehouse, Allan has built a national reputation for his slow cured hams based on quality. He cures the hams with a rub of salt, brown sugar and red and black pepper —then ages the hams from 12 to 18 months, which produces a richly complex and intense flavor. Enjoy this country ham with bourbon. The website may not be pretty, but the ham is awesome. Hickory Smoked Country Ham Center Cut and Biscuit Piece Slices at $8 for 14 ounces an incredible deal. VIDEO: Length 2:49 sec. This interview captures the essence of southern family business pride and tradition. Allan Benton is the god of bacon and slow cured hams. Since 1973, he has operated from a modest, green-painted cinder-block building just off Highway 411 in Madisonville, Tennessee. It’s a little spit of a town in the eastern part of the state back-dropped by the Smoky Mountains. 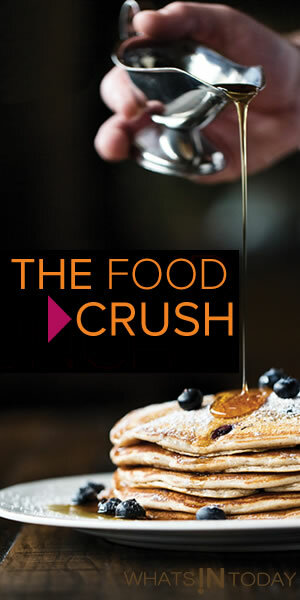 Allan has gained nationwide fame among chefs and foodies. His bacon, ham and prosciutto are sacred and used in the kitchens of Thomas Keller, David Chang, and Sean Brock to name a few. In case you never get the chance to vacation on the Kentucky bourbon trail, Art Eatables has a tasting tour with different truffles made with bourbon from the eight different members of the trail each marked with a button top to signify the bourbon used to infuse it. Boone Creek hand–makes Artisan Cheese. They offer a cheddar cheese that has hints of fresh mint and Kentucky bourbon layered inside (perfect for those derby parties!). As the first bourbon-infused cheddar of its kind, the cheese has a mellow, buttery flavor and subtle oak finish that sets it apart from other infused styles. Kentucky Derby -Average weight 6 oz. A special treat from the Bluegrass state. Derby style cheese with a hint of fresh mint and infused with Woodford Reserve Bourbon. This is something completely unexpected - a bourbon flavored Artisan coffee. Only sold in small batches when there’s a fresh bourbon barrel available from the local distillery in Bardstown, Kentucky. Common Grounds employs a mix of unroasted green beans from around the world and ages them in bourbon barrels for over two weeks to trap the oaky aroma inside. The infused beans are then roasted to a specific heat level to produce coffee with slight citrus and honey notes and a robust whiskey finish. Quite a kick in the morning! Ordering notes: Availability is dependent on new barrel and availability is limited at any particular time. Coffee comes whole bean - but can you can request ground when ordering. 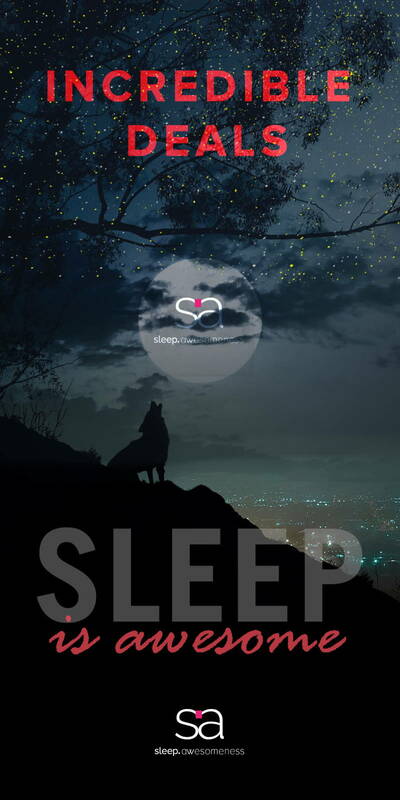 So hang out and enjoy the second full moon of July. This only happens every two or three years so enjoy one of these very Blue Cocktails. Although scientists don't think it's something that rare if it happens every two years, we do ─ and as the phrase goes "once in a blue moon" we are going to go with it! Here is a little history to throw around tonight. "Seven times in 19 years there were — and still are — 13 full moons in a year. This gives 11 months with one full moon each and one with two. This second in a month was called Blue Moon." Can there be two Blue Moons in a single calendar year? Yes. It last happened in 1999. There were two full moons in January and two full moons in March and no full moon in February. So both January and March had Blue Moons. The next year of double monthly blue moons is coming up in January and March, 2018 – and then, after that, in January and March, 2037. A blue-colored moon is rare. Rare enough to be question in Trivial Pursuit. So enjoy the view and here's how to make the best Blue Moon Cocktail to put you in the blue moon party groove. Blue moon cocktails are a fun, frozen martini featuring blue curaçao, vanilla syrup, and fresh orange juice. Whipping creams adds a hint of creamy texture to the drink. In a blender, combine all ingredients and whirl until smooth. Pour into four martini glasses (4 oz.) and garnish the rim of each glass with a slice of orange. Prohibition Bakery Sangria Cupcake – SOOO GOOD! Want to make fun cupcakes for the week-end? Try these, alcohol infused, Sangria mini cupcakes from Leslie & Brooke of Prohibition Bakery – it is sure to be one of the most popular recipes from their new cookbook which you can order at Amazon. INSIDE-THE-CUPCAKE: This mini cupcake is filled with wine and pear brandy, with orange juice and zest mixed into its cake for a sweet dessert just like a good Sangria. 2. Prepare mini cupcake tins with liners and set aside. 3. Place flour, baking powder, baking soda, and salt into a small bowl or container and set aside. 5. Add eggs 1 at a time and whisk well. 6. Slowly add dry ingredients while whisking and mix until few lumps remain, taking care not to over beat. 7. Fill cupcake tins 2/3 of the way full and bake for 10 minutes. 8. Let cupcakes cool completely before filling or frosting. 1. With a stand mixer fitted with a paddle or electric mixer, beat butter until incorporated. 2. Add powdered sugar and beat. Frosting may be crumbly or very thick at this point. thinner, home style frosting, add more wine or pear brandy. 4.Transfer to a piping bag if desired. 1. Combine wine, pectin, lemon juice, and orange juice into a saucepan. Bring to a boil, stirring frequently. 2. Bring the mixture to a hard boil and boil for 1 minute, stirring constantly. 5. Transfer boozy mixture to a squeeze bottle. 2. Fill the cavity with the wine jam, taking care not to let it overflow. 3. Frost cupcakes to your liking. The American Juice Company creates incredibly unique juice blends for cocktails. The mixers are created fresh, with in-season natural ingredients and complex, "How'd they do that?" flavors. According to CEO, Christopher Wirth. Flavors like lychee/rose and pumpkin/passion fruit, allows customers to experiment mixing their own unique drinks without emptying their wallets at expensive bars. The different flavors are so evenly balanced within the blend that they really create refreshing drinks, because there’s no sweet after taste. Each variety is designed to stand alone, and work in combination-so you can make-or be served-hundreds of different drinks. Turn an ordinary cocktail party into a one-of-a-kind event. You can try the different flavors with this box- you get a choice of three blends. You can pick which ones. Back in 2012, while working at The Jefferson hotel in Washington, DC, Christopher Wirth teamed up with his friend and colleague, Massimiliano Matté, a renowned mixologist and nominee for the prestigious "Perfect Barman de Paris" award known for his collaborations with celebrated chefs like Alain Ducasse and Heinz Beck. Make your own cocktails! ― Please note, experimentation highly encouraged. Forget Cheap, Over-flavored Mixers. 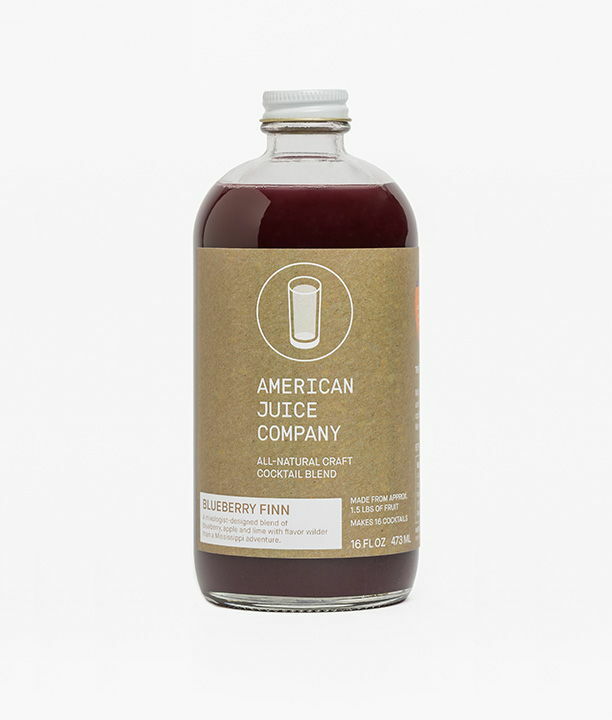 American juice company Started A Mixology Revolution By Creating High-end Cocktail Blends And Making Them Available To Everyone. Union Wine Company comes from the vineyards and wine growing regions of Oregon to be a everyday drinking wines. By being efficient about everything, Union Wine successfully creates a unique combination of craft and small-scale manufacturing. Founder, Ryan Harms, believed he could successfully emulate the craft beer model to wine. His goal, to make everyday wine that was of unbelievable quality, fun to drink at an affordable price. A wine to celebrate every day events with family and friends. At Union Wine, they like to have fun and have produced their favorite wines in cans to take along anywhere. The motto of the company “it’s more important what goes into the glass than what type of glass it is” and keeping things fun. The team loved the idea of being on the river or camping with a six-pack of wine. WHY WINE IN A CAN? Simply put - Because we can. Actually, the cans were first released in a limited edition at the 2013 Feast Portland event through a Pinkies Down campaign to share our belief that there is too much fussiness around wine. At the event, in addition to the cans, we introduced the Union Wine Co. Tasting Truck, a re-purposed vintage French Citroën H Van where we served from. Based on the success of that weekend, we decided to put it into production. Union wine company tasting truck A vintage French Citroën H Van brought back to life to dispense a new wine concept - wine in a can. HOW MANY “GLASSES” OF WINE ARE IN A SINGLE UNDERWOOD PINOT IN A CAN? Roughly two. It’s a half bottle’s worth. Enough to share… or not. IS THE UNDERWOOD PINOT IN A CAN THE SAME WINE FOUND IN THE BOTTLES? Yes, it is the exact same. WHERE CAN I BUY/ORDER UNDERWOOD PINOT IN A CAN? The start of Rosé season and the debut of our first pink wine is cause for celebration. Here is a fresh shake on a classic margarita using the new 2014 Underwood Rosé. We found a place that still has some bottles left to buy. SUGGESTED UWC TIP : Best enjoyed lounging with good friends and tasty food. Just remember to do it with your pinkies down, please. What a great Rosé from Wine Awesomeness - the Watts Up Rosé tastes delicious. Its light and dry. Clean, crisp, lightly floral, just the right amount of red berry fruit highlights and a touch of fresh watermelon. Perfect for this summer's BBQs. The Spanish rosé blends notes of strawberry, raspberry, and watermelon together. Super crisp, spicy finish. Simple, light and dry goes with everything - from beach to baseball with a pretty pink color. For those who want to do fancy, here are three cocktails made perfectly with Watts up Rosé find the recipes here Have fun! 1. The longer the grapes’ skins are left sitting in the wine the darker the color of the finished rosé. 2. The biggest producers by volume are: France, Spain (where it’s “rosado”), Italy (“rosato”), and the United States. 3. With rosé, the newest vintage = the freshest wine You should not drink anything that’s dated more than two or three years back. 4. Dry = not sweet. And that’s what you want in a rosé. 5. This is most important to remember when you buy rosé: Is it DRY? Just ask for a dry rosé under $15 and you will be fine at any store. You will find plenty of good options in the $10-$15 range. Rosés are usually a bargain, especially compared with red wines. These wines are young (vs. matured for a long time) and relatively cheap to make. They’re also still under-appreciated/undervalued in the U.S., which explains why French rosé is affordable here. You’ll have plenty of good options in the $10–$15 range. 6. You should drink rosé with BBQ.These wines are versatile because they are between the extremes of red and white. That happy-medium flavor profile plays nice with fish, veggies, chicken, grilled steak, potato chips, chocolate chip cookies, you name it. Just make sure you give it time to chill before drinking. 7. You can use it to make cocktails. Rosé is ideal for mixing. It’s not expensive, plays well with all kinds of fruity and fizzy substances, and hey the color looks fun in a glass. Combine strawberries and wine in a large pitcher; cover and chill for 3 hours to infuse wine. Strain wine into a large bowl, reserving some strawberries for garnish. Return wine to pitcher. Stir in soda water, Aperol, and lemon juice. Divide among ice-filled glasses; garnish each with a lemon twist and a few reserved strawberries. The founders of New York’s original alcohol cupcake company are Leslie Feinberg, a former bartender, and Brooke Siem, a chef. They came up with idea for boozy cupcakes for a friend’s bachelorette party and Cosmo cupcakes were born. Today there are 15 flavors on rotation based on seasonal ingredients, though a few varieties are always “on tap” for orders, including the White Russian, Margarita, Old Fashioned, and Dark & Stormy. Prohibition Bakery bakes between 3,000 and 4,000 cupcakes a week. The Pretzel and Beer, made with Brooklyn’s Six Point Sweet Action ale, was salty, sweet, and surprising. Break open an Old-Fashioned cupcake, and you see the magical boozy core in the color variation of whiskey. Shipping costs make it expensive ($52 shipping + $40 for 24 cupcakes) but so worth it – and then maybe just take a trip to NYC and try out an Old Fashion after some shopping and theater action. 3. In another bowl, combine flour, sugar, baking soda, and salt. 4. Combine ginger beer and butter in a small saucepan and heat until butter melts. 5. While mixer is running, slowly pour in ginger beer/butter mixture. 6. Slowly add dry goods to wet and beat until incorporated. 1. In an electric mixer, beat butter with paddle until fluffy. 2. On low speed, add the powdered sugar. 3. Slowly stream in Gosling’s Dark Rum and beat until smooth. 1. When cupcakes are cool, frost to your liking. Garnish with lime zest. Two choices Chandon Brut Classic and Rosé in fun, colorful bottles with blue and pink stripes. Buy online These are perfect for parties, and bbqs. The bottles make pretty table decorations. Let the summer begin! Available online now through Labor Day in 750ml (both) and 187ml bottles (Brut Classic only). In 1907, the famous explorer Ernest Shackleton placed an order with the Glen Mhor distillery in Inverness Scotland for 46 cases of Mackinlay’s Rare Old Highland Malt Whisky. In 2007, three of these cases were discovered undisturbed beneath the ice of Shackleton’s expedition hut in Antarctica, he used as a staging ground for his attempt at the pole, by a team of historical conservationists. These three crates of the explorer's whisky spent a century forgotten and frozen in time to the rock and ice below. With permission given in 2010 to thaw, open, and analyze one of these cases. Conservationists at the Canterbury Museum in New Zealand were able to recover 10 perfectly intact bottles - including the over 100 year aged whisky within! Of course, the first thing everyone wanted to know was - how did it taste?!? and that is exactly what the Glasgow distillery was betting - that a whole lot of people will want to sip the Scotch that Shackleton had with him on his Antarctic adventure. Celebrating 100 years since Earnest Shackleton and his brave team made their epic attempt to be the fist men to reach the south pole. They got with 90 miles before making the decision to turn back - returning to England as heroes. Permission was granted to the Whyte & Mackay company - the owner of the Mackinlay’s brand - and company owner Dr. Vijay Mallya flew the precious bottles home to Scotland on board his private jet for analysis at W&M’s Spirit Laboratory. Using their analysis, the distillery was able to recreate exactly (down to the imperfections in the glass and the hand-lettering of the labels - not to mention the unique flavor) the original Mackinlay Malt Whisky. The whiskey was buried in solid ice along with 4 crates of brandy under the floorboards of Shackleton’s hut at Cape Royds on Ross Island, Antarctica. Shackleton had brought the liquor with him on his 1907 Nimrod expedition and left it behind when he went home in 1909. Hard Apple Cider from Downeast Cider House + The cider is unbelievably good! The cider is unbelievably good. Why? Unfiltered = magic. The Original Blend is not too dry, not too sweet, a decent body. Just a true apple taste. It is so cool these guys have only been in business for only 3 years and started the business right out of college. We like their story. Hard Work + Fun + quality product = Success. There are 3 ingredients that make the difference between Downeast Cider House farm style cider and the others: local apples, only freshly pressed juice is used & ale yeast – unfiltered. With college graduation approaching from Bates, Ross Brockman and Tyler Mosher, thought about what most would – Grad School. But as they studied for GMATs, making cider seemed a whole lot more fun and Downeast Cider House was born in 2011. Lucky for us, they have grown their company into 12,000 cases sold last year, and created a variety of flavors, regulars and seasonal. Visitors can enjoy a free tour and sample refreshing, freshly brewed, farm style ciders, and leave with 64oz souvenir growlers. 200 Terminal Street Boston - see Google map below. The Downeast Cider House is located in a Charlestown warehouse, right outside Boston. They have awesome tours on weekends where you get to taste 3-4 ciders plus whatever is specially brewed at the time. The Downeast Cider House is available throughout New England with plans to expand into the other areas. You can find locations on the website. If you are in Boston over a weekend, definitely take in a tour, you might be lucky and can take in one of their cider making classes or music events at the cidery. There is a disclaimer that the cidery is an authentic, gritty production space not a gorgeous bar. Go anyway, the people are the nice, the cider is amazing and you’ll have a fun time tasting the different flavors. We tried cooking with the Original Cider, and found it really adds a nice baked apple flavor – use it where you might use beer or wine. The cider is great in marinades and sauces. Our favorite thing about the Downeast Cider House guys is their creativity in mixology. They have concocted seasonal menus for fun cocktails – with summer approaching the Downeast x Southwest looks perfect. What's with the cool Chalk Mural? To entice visitors to take photographs during their time at the cider house, Downeast Cider gave one of its storage tanks a makeover with a design representing the brand and incorporating their slogan. This chalk mural created by artist Maria Liang, of Maria Liang Design, has a diameter of 8’8″ and took her 11 hours to complete. Make fresh whipped cream made with nothing more than a couple bar tools. So Boozy | Space Scotch ― Really? Theoretically we all know distillation is a process based on science but we rarely make the leap to think of brewers and distillers as actual scientists – let alone “rocket” scientists. But the white lab coats at Ardbeg have taken their science to a new level – literally to space. Recently a vial of a compound called terpenes came back from the International Space Station after participating in experiments on gravity and whiskey maturation. To celebrate the triumphal return, Ardbeg has released Supernova – a robust, peaty, salty, and smoky Islay Scotch. dimensions 7" x 7.5" x 3"
Plan and ahead and fill the little bottles with liquor or mixers. 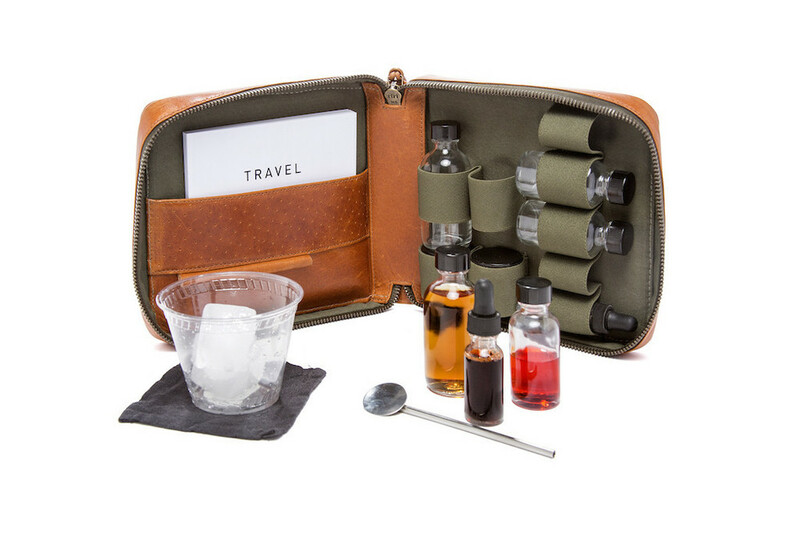 If you need inspiration, drink recipes are included with a detailed packing list (so cool). This stylish case is handy once you arrive at your hotel or vacation spot for in-room happy hours, beach chillers or picnics. Get your seatmates to buy the booze, and make everyone happy. barn wood, old fencing, and pallet lumber salvaged from the shores of Lake Michigan. Check out the Napa Valley Liquor and Wine Wall Rack – an attention grabber for your kitchen, dining room, or dare we say “man cave”?